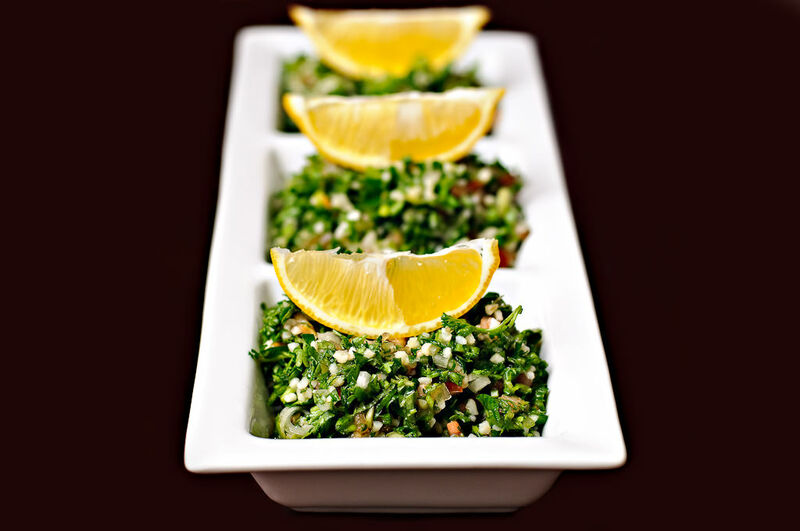 You submit a picture of your favorite dish and wait for an e-mail from the site admins. Here comes the long awaited e-mail, in which it states that your image was rejected, because it was either dull, unsharp, had lighting issues or whatever other reason the admins came up with! At times, it gets very frustrating to find out that your precious creations were chosen not to be displayed on famous food sites. I too got very frustrated the first couple of times, until I figured out how to do it right. For those who are in the same boat as me, the following tips should help you to get your pictures approved by both FoodGawker and TasteSpotting. It is not true that only DSLR pictures get through! If the photo is taken correctly, the chances are the same for an image that came out of a DSLR or a point and shoot camera. As it is true with any camera, the most important thing is the quality of light you are using for the picture. Obviously, compared to a DSLR, a point and shoot camera has numerous disadvantages and a limited control over large depth of field is one of them. However, it doesn’t mean that you cannot take good food pictures with a point and shoot. The first and the foremost tip is to make sure that there is plenty of light in the room. When I say “plenty”, it doesn’t mean enough light for you to see well – it really needs to be very bright. If you think that the simple kitchen light will do, you are wrong! Your camera will need a much bigger source of light to be able to properly acquire focus and have the minimum amount of noise. Blurry and noisy images look really bad! Your best bet is to shoot the food during the day, either by a big window or outside. But do not put it under direct sunlight, or you will end up with harsh shadows – it is best to keep your food in the shade. Unless you own and know how to use studio lighting equipment (flashes, umbrellas, reflectors, etc), you should always be using natural light for food photography. Never use the built-in flash of your camera. Always make sure that your camera is correctly focused on the main part of the dish. Make sure to stand a little further away from the food. Remember, they only accept square images that are 250×250 pixels, so if you stand too close, you might not be able to crop a square out of your image. Composition is another big reason why photographs get rejected. Make sure that the background is not too busy and that you are targeting the dish you are presenting, not the surrounding objects. How you crop your image and what you decide to cut off also impacts the overall composition, so try a few different crops and pick the best one. Choose the right dishes (plates, bowls, containers, etc) and utensils to make the food more presentable. I personally prefer to work with white dishes, because white is a very elegant and pleasant color to present the food in. Take many pictures from different angles and pick the best one during post-processing. Do not pile everything up in one plate. If you are using a lens with a large aperture, focus on a single item on your plate – the entree. If you are making an Asian dish that has a lot of ingredients, show only a part of the plate. Make sure that your White Balance is correct. If you are using a DSLR camera, shoot in RAW then correct white balance in post-processing. Remember, site admins always check out your website before approving your image to make sure that the image is properly linked with a recipe and that it is not some sort of spam or advertising. Your site plays a significant role on whether the admins will choose to post your image or not. Make sure that the page is properly formatted and make the recipe easy to follow. 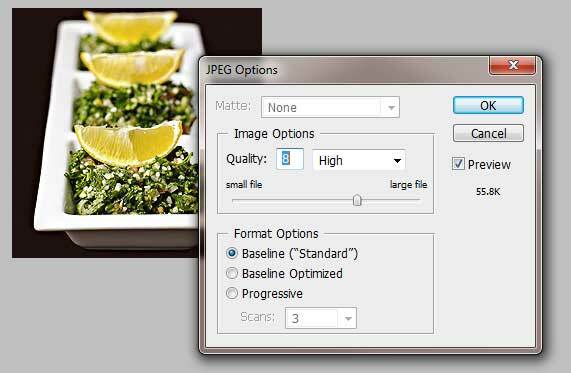 Once you pick the best image, it is time to crop it on your computer using Photoshop, before uploading it to FoodGawker or Tastespotting. I do not recommend using their online crop tool. How to properly crop images? 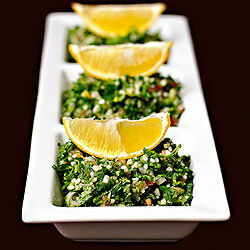 First, open the image in Photoshop (I chose the above picture of Tabuleh Salad as an example). If you do not have a full version of Adobe Photoshop to process your images, please check out the online stripped out version of Adobe Photoshop. Big thanks to Joanne Choi for pointing this out! 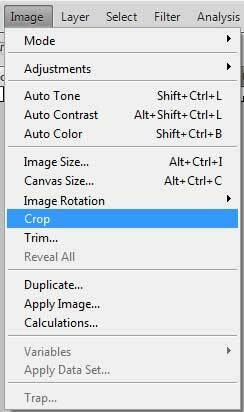 Next, pick the crop tool as shown below. Since the image should be equal on all sides, we need to set the width and height ratio of the crop to “1”. Click on the Style drop-down field and pick Fixed Ratio. Make sure that both Width and Height are set to “1”. 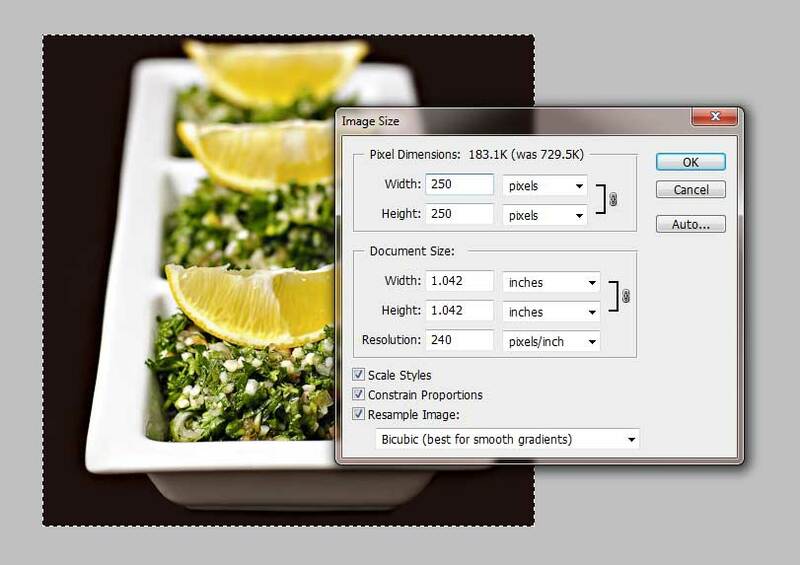 With the Crop tool selected, mark the area of the picture you want to be included in the composition. I usually stretch it as much as it allows me to go. You can move the crop box by clicking and dragging. If the image is taking up too much space on your screen and does not fit, you can zoom out in Photoshop by holding the CLTR button and pressing the “-” (minus) key on the keyboard. When you zoom out on an image, it will lose some of its sharpness and might look somewhat dull – that happens because you are not viewing it at 100%. If you are uncomfortable with cropping like this, you can resize it to a smaller version that fits on your screen. You can do this by going to Image->Image Size and changing the width of the image to a smaller number. Try not to go lower than 500 pixels though, as you might not have much space to work with later. Once you are satisfied with what you have selected, go to Image and choose Crop. If you like what you see in the crop, go to Image->Image Size and change Pixel Dimensions to 250×250. If you are not satisfied with the crop, Ctrl+Alt+Z (undo) until you get to the original image. Try to crop again by changing the angle. The cropped image is still going to lack sharpness once reduced in size. The best way to fix this problem is to sharpen the final version. Go to Filter and choose Sharpen->Sharpen. Now the image is going to look sharper. 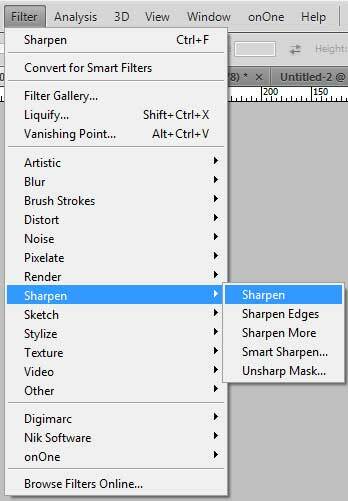 This will prevent you from getting “dull/not sharp” types of comments from the admins :) If you want to sharpen it even more, you can also use the Sharpen->Unsharp Mask tool that gives you a lot more options. When you save the final image in JPEG format, make sure that you save it in high quality. I personally never save my images lower than “8”. If you have any questions, please leave them in the comments section below. I will do my best to help anyone who needs a suggestion about their food photography. Casey, thank you for your feedback! To be honest, I do not have much experience with online tools for cropping/resizing/sharpening and I’m not sure how good of a job they would do when compared to Photoshop. I believe it is a good thing that these sites push their standards to a higher limit by rejecting work they feel should not be represented on the front page of their site. After-all, it is their image and their hard work to attract more people to their websites. I checked out your site and I like it a lot, good job! I like the fact that you point out the comments from both websites and even show recipes that made it to one, but didn’t make it to the other. Hopefully the above tips will help in reducing the amount of work for you as well! This is helpful! Thanks! Just a question: why do you change the photo size to 500 before cropping? I just followed your tutorial, and my photo ended up much smaller than 250×250. I am a novice with both photography and Photoshop, so I appreciate the help! Jami, you are most welcome! If you are having a hard time cropping the image, please send me a link to the original image and I will show you how to crop it correctly. Excellent post! Thanks for sharing. I like to reduce the image to 250p with my own software (Adobe Lightroom), as I notice that the automated software within TS and FG tend to blur the image. I also think white balance is important (if you don’t have access to natural light), and can fix a large percentage of the photos out there. That is a lovely picture, btw! Jen, thank you for your feedback! I also use Lightroom heavily, but I figured that not everyone uses it, which is why I decided to write the tutorial on how to do it in Photoshop. When I export images from Lightroom, I set the width and height ratio of the crop to “1″ while cropping, then I export in 250×250 resolution, 80% JPEG quality and set “Sharpening” to “Standard”. This info about Lightroom was sooooooo helpful for me! I just started submitting to tastespotting and was getting frustrated trying to figure out how to get the images the right size without losing quality. Thank you so much! for free photoshop – you can go to www.photoshop.com which has a more streamlined version of photoshop – but perfect for novices who don’t want all the additional crazy options of full blown photoshop. It allows you to crop, sharpen images, resize photos, fiddle with exposure and increase or decrease saturation. My photographs used to rejected quite often and then I started fiddling with photoshop and I saw a rapid improvement in the number of photographs that were accepted. Great write up! Joanne, thank you for the link! I tried a few things (including sharpening) and the tool works great :) If you do not mind, I will go ahead and add the above link to my article. sure sure…it’s not my website…it’s just what I use! If I used a Speedlite flash not the built in one can I get good results ? I used a point and shoot camera for over a year before getting my DSLR and I still had good acceptance rates on my photos. About 3/4 of them were accepted. Great points about composition and sharpening. Katie, thank you for sharing! What point and shoot camera did you use for your food photography, if you do not mind me asking? I used the Panasonic Lumix DMC-TZ5s until just recently. Last week I began shooting with a Canon EOS 50D with a 50mm f1.4 lens. The Panasonic was able to have custom white balance set, which helped a lot. You could also adjust the exposure with a simple +/- selection as well as the shutter speed and ISO (though I ususally didn’t mess much with the shutter speed and ISO – if I upped the shutter speed the pictures were dark and I had to up the ISO so much to compensate that they were extremely grainy). I shot on the macro setting with a custom white balance and adjusted the exposure as needed. I’ve definitely learned a lot simply by submitting photos to Foodgawker and Tastespotting. Yes, it gets frustrating, but knowing the problem of the picture has opened up a side to photography I wasn’t aware of because it made me want to learn more. Sometimes rejection can help you if you let it. I greatly appreciate this post! Very helpful tips, especially about just how much lighting one needs. It is amazing sometimes when you think there’s plenty of light in the room. But if it doesn’t hit the dish just right, your food can look dark in so many areas. Kare, you are most welcome! What DSLR did you decided to go with? My husband and I write articles and tips on photography basics. Please check out our “Photography Tips for Beginners” page for some useful tips on DSLR cameras and photography in general. So glad to know that I am not the only one rejected! Thank you Chef, I hope it really helps! Amazing post! I never thought to crop and resize the image before submitting, I think this will help me a lot. Thank you so much!! Great article, I will try to submit some after I put your tips to use. Thankyou so much for this post, my pics too get rejected a lot your suggestions are going to be a great help. DO you know what is white balance in a pic, latley they say white balance is not correct. Happy cook thank you for checking out our blog. My husband is writing an article about white balance and it should be posted later today. I will let you know as soon as the article gets published :) It is going to be very useful. Please consider submitting some of your photos to FoodGazing.com. FoodGazing is an alternative to the other “big two” sites and we welcome new submissions! Hello, Thanks for the post ! I have another problem when I submit my photos. I crop and resize it the right way but as soon as it appears on the “preview” the image lost lots of its colours. What can I do to avoid it ? Thanks a lot for the tips ! To be honest, I’ve no problems with Foodgawker and usually find their rejections valid and reasonable. On the other hand, I find Tastespotting sporadic in their rejections and have come to the sad conclusion that the editorial team doesn’t really know what they’re doing. I understand the review process is subjective, but surely it can’t be that random. 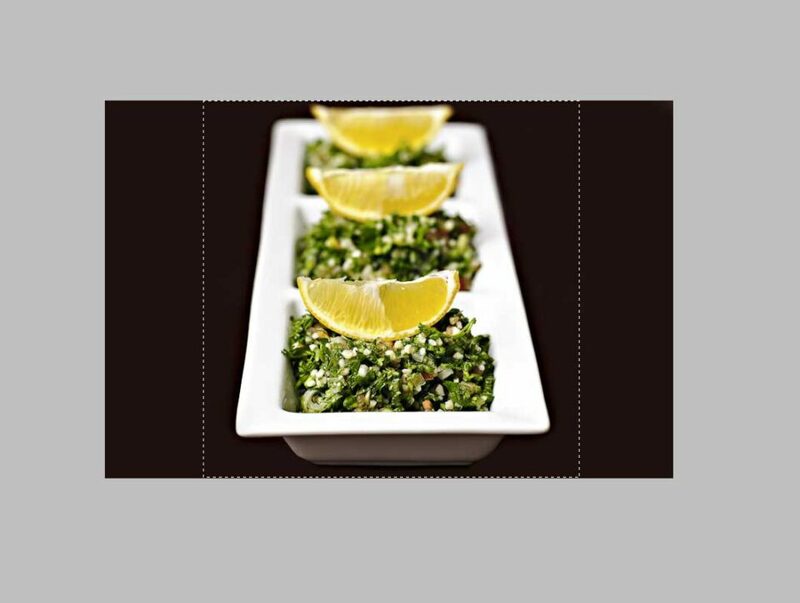 A casual review of what’s posted on Tastespotting also indicates a certain level of randomness on the quality of photos deemed “acceptable” by their editorial team. Thanks for this great and useful tutorial, Lola! I think TasteSpotting is very inconsistent. It also seems to prefer images from famous bloggers. I had several of my images accepted by other food communities e.g. Foodgawker while were rejected by TasteSpotting — mostly because composition. The interesting thing is that several of those rejected images were similar to others that were published there. I sincerely do not understand their criteria – if they really have one. :) TasteSpotting also take a long time to review images. Some of mine took about 2 weeks to be reviewed. So absurd! I confess that I am about not to submit my images there anymore. It is a waste of time especially considering their lack of judgement. I am using Photoshop Elements to edit my pictures. I have followed all of your steps and one picture worked perfectly. I’ve tried a few others and once they are reduced to 250 x 250 pixels they are completely pixelated. The pictures look great at their original size and on my Hungry Happenings blog, so I am unsure why they look so bad once reduced. Is that a sign of a bad photo, or am I doing something wrong in Photoshop. Or, am I taking the pictures at too high or low megapixel setting? I just bought a new Canon S95 point and shoot camera and would love to know what settings to use so that I could possibly get a photo accepted by foodgawker.com. Thanks for your help. Wow! What great information! Thank you so much for all the helpful suggestions! Sincerely, Cindy Eckhart of Sweet Tea with Cindy. I’ve been coming back to this post in my ongoing attempt to get something accepted at tastespotting or foodgawker. You’re tips have helped me, but I’m still getting rejections and I’m wondering if you could give me some pointers based on my photos. Most of my rejections seem to be because of composition, but I’m not sure what this means and what about the composition of my photos is not to like. Thx for the work and for sharing ,,,, but i will try it further my way ,, just for on Reason ,,,the world is not a square ,,,food doesn’t ,,,Pictures doesn’t and Fibunacci didn’t work either in 250X250 ;D … btw,,,,it kills the variety ,all pictures in high Key makes all look the same …..my two cents :D .
Brilliant post! I knew about lighting and background noise, but I never considered the angle and size of the photos. Thank you for those tips! The best thing I did was to finally read the manual, something I put off far too long. Knowledge is power…and so is natural light! Nice article. Question though. I did everything above however when I submitted to tastespotting it still prompted me to crop even though I cropped in ps. Do you know how to avoid this. Hi!! Thanks a ton for your helpful tips!! I also had the problem of my images losing color as soon as they were uploaded on foodgawker/tastespotting. My first photo got accepted today, I’m so glad!!! I have to thank you for the photoshop tips, I also read a couple of other articles and I hope I can improve my photography!! I have a Nikon D3000 and am just learning to use it optimally..
Hi Lola, that’s some useful tips there. You are right in that it’s not just pictures taken with an SLR that get accepted. I’ve even taken one with my mobile phone camera and got it on. However, have you come across the problem that your original looks great on screen, but once you’ve uplaoded it to either of the two sites, the coours look a lot duller? Any suggestions? I get some accepted and some not……I guess that’s life, but feel overcoming the problem I mention might help. Thank you for the tips!!! I have one question remaining though, what about backgrounds? Do you shoot in a box? Use fabric? How did you get that dark, beautiful background? I struggle with that the most, I think. Thank you so much for your tips and support. Three strike outs, but I’m going to hang in there! Can you tell me what lens you shot the tabuleh with? Thanks. I am so happy to have come across your site. As a beginner in food photography I know I have a lot to learn and I am excited to get to know my new dslr camera. One of these days I will get an acceptance from foodgawker– so far I am 0 for 5…but I’ll get there. This is very helpful. One thing that always happens to my photos is that they look great on my computer but after I submit them to Food Gawker or TS, my image loses color and is not as sharp. I have even over-saturated the image thinking that might help but it doesn’t. Any suggestions? Is it ok if I have a copyright watermark on my photo that I’ll submit to foodgawker or tastespotting? I’ve just had a completely unedited (other than size cropping) image rejected by Foodgawker for being oversharpened. Is this something that is subjective or is there something else I should be watching out for? hi I am new into blogging. just getting my space organised. I just register with foodgawker. but cannot figure out how to submit photographs..can u please help?? There are some really great tips in here. I’ll be taking heed of some of this advice going forward. Thanks. Hi, I have pse version 11, but don’t see an option to do the “fixed ratio”. Anyone can help? I don’t see how to get to that option to fix the ratio. I am new to foodgawker, i have small doubt i feel it’s silly to ask but I am facing problem. How to submit post in foodgawker, i am not able to see any submit option. Where I am going wrong. Please check it once.